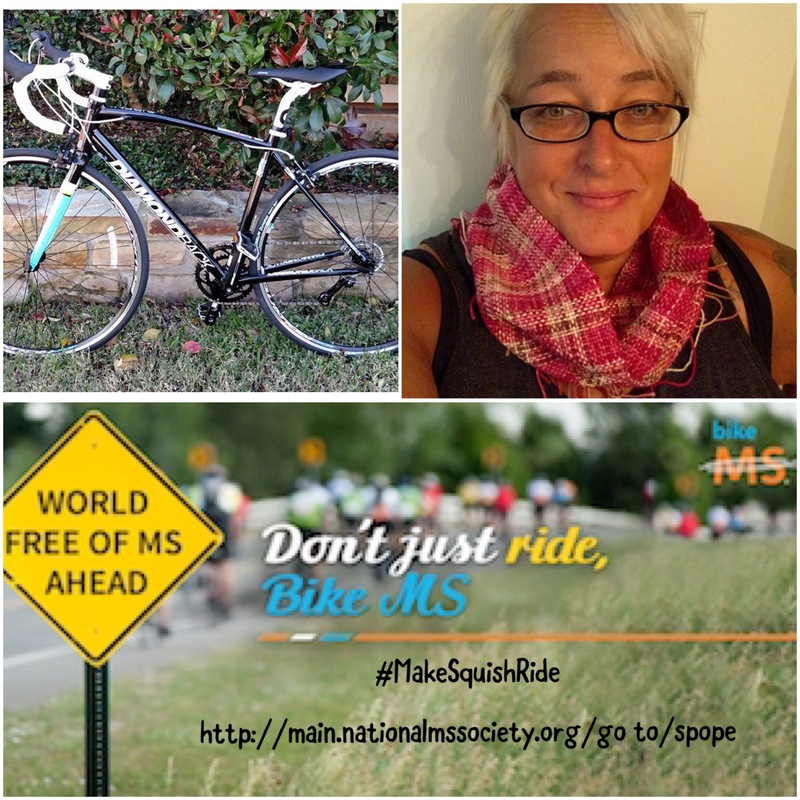 Get an entry for every $5 you donate to my Bike MS ride by 6 p.m. today(4/21). The more money raised, the more prizes added! There is Socks that Rock and another sweater’s worth of yarn in the wings, just waiting to be added! Author stacey919Posted on April 21, 2018 Categories UncategorizedTags BikeMS, Knitting, NMO, YarnLeave a comment on Yarn! Donate and Win! No, really. Texas and I are riding in the Bike MS 150 in May of this year. Well, Texas is, I haven’t raised enough moolah yet. So this is where I need your help. Please donate. To try and bribe all y’all to donate, I’m going to give something away. For every $10 that is donated, you get an entry in a drawing. The winner will have a choice between a Fire Stick, an Amazon Dot, or a Stitched By JessaLu regular wedge or box bag (you pick, I’ll pay). If I get to $500, I’ll pick two winners. Since a bunch of you came through for Texas too, I’ll also enter anyone who donated to him. I know you all have come through in the past for helping raise money to find a cure, not only for MS, but for NMO. I am always grateful for your generosity. Author stacey919Posted on March 28, 2017 Categories UncategorizedTags Contest, family, friends, life, NMO, prizes2 Comments on Prizes! I have PRIZES!!!! If you didn’t know, NMO was once thought to be a variant of MS and many patients were originally misdiagnosed with MS. Even after finding out we were different, the MS Society still holds a place for our orphan disease and provides services and support for NMO patients and their families (along with a few other orphan demylenating diseases). 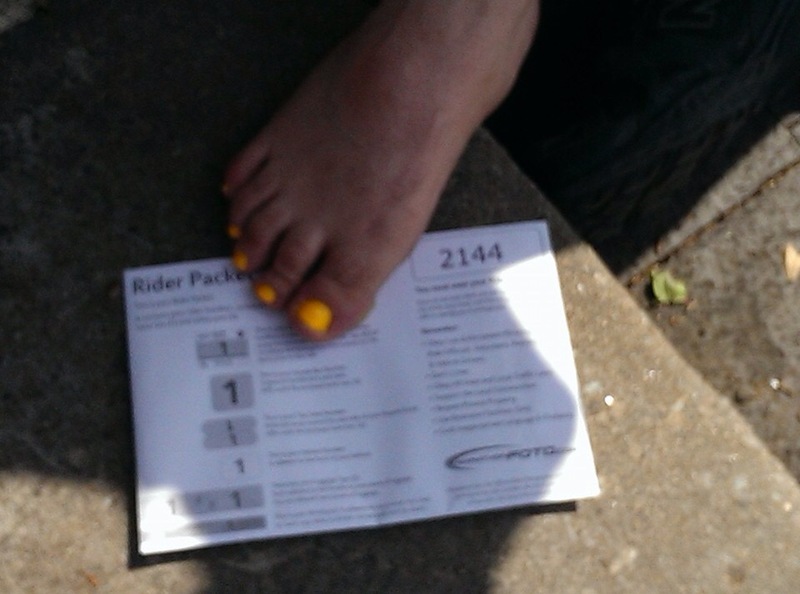 As if him doing this isn’t proof enough that he loves me, I forced him to he had his toes painted MS orange today. Do a good thing and click here to donate. It is even tax deductible! He’s only about $450 away from his goal of raising $1000. Author stacey919Posted on May 1, 2015 Categories UncategorizedTags crazy, NMO, TexasLeave a comment on Can ya spare a dollar? Texas. Hot! And I am not talking about my husband*. I’ve had to order a cooling vest and cut out my 11 a.m. class for a week or two until it gets here. The East gym is half windows. Throw in 3 hours of twenty, hot, sweaty students and it is a recipe for UGH! There is this thing called Uthoff’s where, when you get overheated, the damaged nerves (think of an exposed wire) start confusing the signals they’re transmitting. Not so much fun. I usually end up passed out on the couch around 2 p.m. every day. Knitting stitches falling off the needles, cat on my head, the dulcet tones of bad television playing in the background. I talk about jiu jitsu and wanting to win, but the reason this all started was getting in shape. I always have that thought, at the back of my mind, that something could go horribly wonky with the NMO. I want to be as strong and prepared as I can possibly be. Either that or I need to spend less time looking at the NMO support group stuff. Horrific stories! Probably not the best nighttime reading. Just saying. I’m off to make my special beans for a team get together. What are you doing today? *Although, if he would change his FB picture to a current one, some people might think so. That current one is him at his heaviest. He was working on the train at the time, it was about a year after the NMO diagnosis and he emotionally ate his way through that first year. He is about 80 lbs lighter now. He thinks seeing his fat picture will motivate him to lose more.